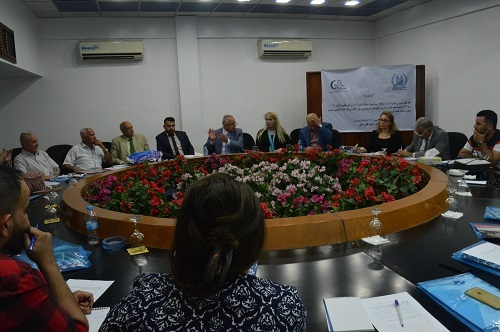 Implementation of the program of the Alliance Network of Iraqi Minorities with the support of the Norwegian People's Aid Organization, Hammurabi Organization holds a dialogue seminar on Article 372 of the Iraqi Penal Code. Mr. William Warda manages the proceedings of the symposium and opens the discussions, describing the exact review of the text of this article. 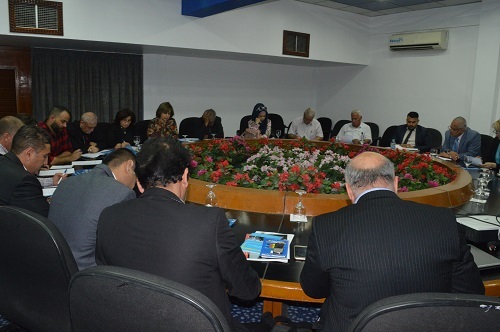 Twenty Five personalities participate in the symposium including lawyers, judges, academics, media and human rights activists. Broad exchange of views on this article. 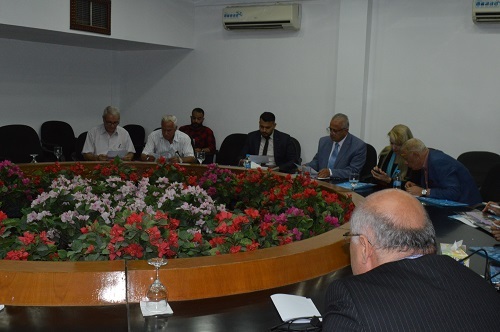 Agreement to form a committee to consider the text of Article 372, taking into account the summary of the discussions held and the minutes of the symposium. 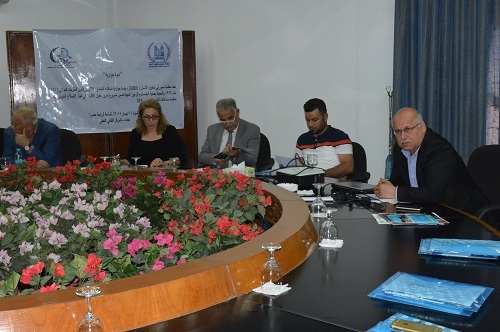 Hammurabi Human Rights Organization held a seminar on the review of Article 372 of the Iraqi Penal Code No. 111 of the year 1969 in accordance with the amendment made on 1/1/1995. 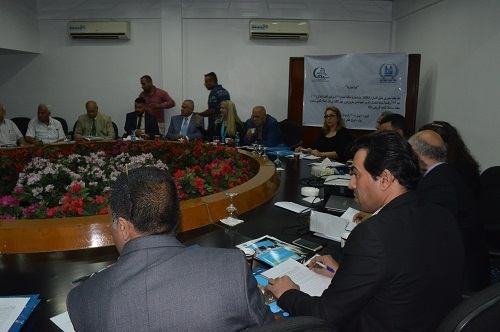 The symposium was held on 7/4/2018 in Baghdad - the cultural center of oil at the presence of more than 25 legal personalities, judges, lawyers, academics and human rights activists representing a number of civil society organizations and media. a- person who commits by one of the public ways to the belief of one of the religious denominations or the ransom of its rites. b- Deliberately disrupts the establishment of a religious ceremony, a religious meeting, or deliberately obstructs or impedes the establishment of any such thing. c- Destroyed, damaged, maimed or desecrated a building intended for the performance of religious rites, symbols or anything else that has religious sanctity. d- Printing or publishing a Holy book to a religious sect if the text deliberately purposely changes its meaning or disregards one of its provisions or some of its teachings. e- The person who publicly denounces a symbol or person who is the object of reverence, glorification or respect of a religious community. f- publicly who imitate religious practices or a religious ceremony with the object of ridicule. 2-Any person who has been exposed in one of the public ways of insulting and defamation to the word (JALALEH) shall be punished by imprisonment for a period not less than one year and not more than three years. 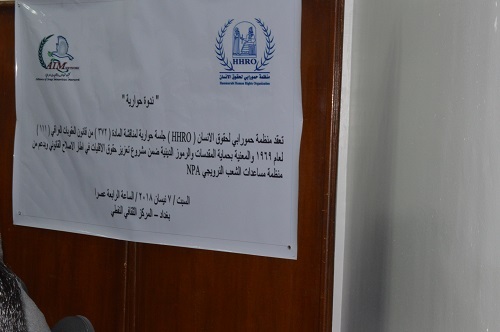 Mr. William Warda Public Relations Officer at Hammurabi Human Rights Organization inaugurate the seminar pointing out to the accurate review of participants based on their legal expertise and meetings and their understanding of the importance of the religious rights for all Iraqi components to establish fair laws and implement them, maintaining religious diversity and finding legal deterrents to promote social structure of the people on a civilized basis governed by the principles of diversity and the preservation of rights. 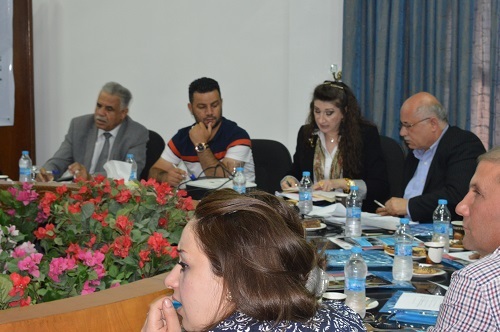 The complexity of the debate between the participants in the symposium was on the basis of activating the text of this article, the amendment or any other proposals. 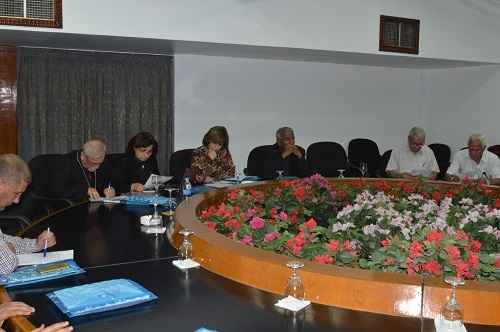 The participants also discussed the imbalances in the procedures of the executive authorities and the ambiguity in some laws, including article 372 and the fundamental difference between freedom of worship and non-infringement of religious freedom and the importance of reconsidering some laws and legislation to meet the need to support the foundations of civil society away from all aspects of containment. 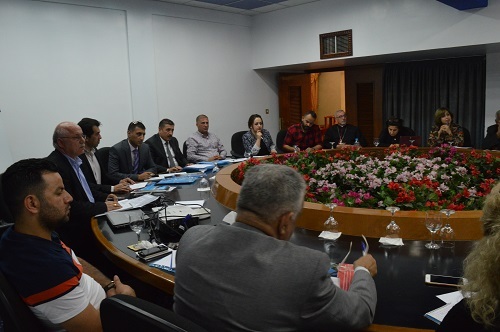 The symposium lasted three hours, and the participants concluded by presenting the observations and proposals to the Committee of Experts to study the article and its elaboration in the light of the opinions and discussions emanating from the discussion tables and thus to put them in a final form to launch a campaign of defending to adopt the proposed amendment.